I was thinking back to the days when I first started lifting; how simple it was, it was upper body or lower body days. I did what I wanted. 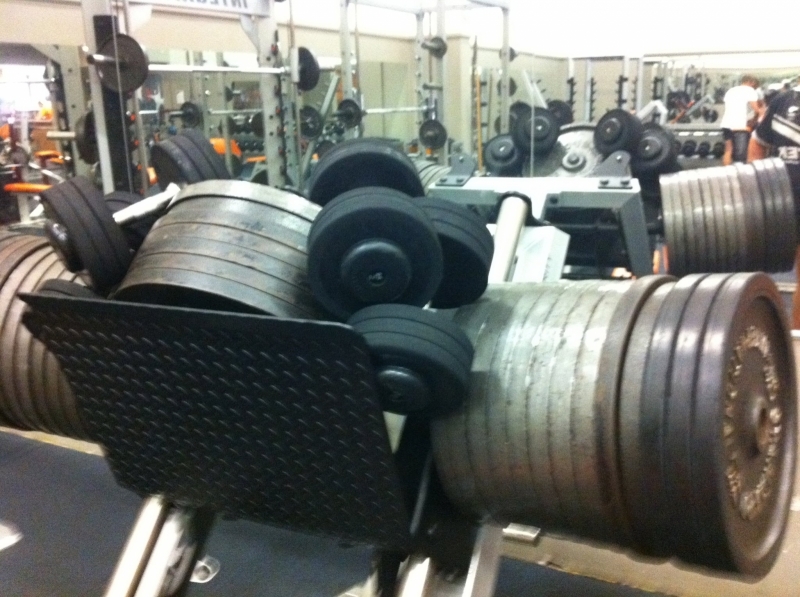 Loading up the leg press with all the weights in the gym, it was a small gym, but still as a high school kid I felt badass, doing 400 pound shoulder shrugs, the true test of how strong you are, and sets and reps, always without a doubt, had to be 3 sets of 10 reps. I don’t think I ever went higher or lower then the 3×10 until my junior year in high school. I always thought it was the perfect number, hell it was what everyone else was doing. It turned out that 3×10 was not the best set up for my goal of becoming a stronger athlete. I would have fared much better from a 5×5 or even a 5,3,1 set up. But with youth comes ignorance and many years of ineffective lifting. At this point I have done a plethora of different set and rep schemes. Two that I have been playing around with recently is cluster sets and high-density sets (honestly I have know idea what these are called, if you know the common name feel free to tell me). Cluster sets are a great way for you to be able to lift heavier weights for a higher number of reps. This results in an increase in strength. Before you carry me off to be burned at the stake for my wizardry, let me explain how they work. You will soon see that there is no magic involved, just some simple sets and reps manipulation. The cluster set is a group of mini sets within a set. This is what it looks like: (4×2)x5, this would be five cluster sets of four sets of two. You would do two reps rest 10 seconds and then do the next set and repeat this for four total sets. This equals one cluster set. Are you following me? 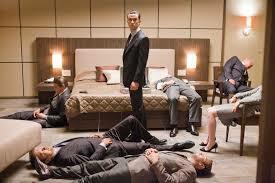 Just think of it as the ‘Inception’ of sets, a set within a set within a set. If you were confused by the movie ‘Inception’ at any point then you should first watch it again and figure it out before attempting these. For simplicity I will stick with the (4×2)x5 as my example. When selecting your weights you will not be able to use your two-rep max or your eight-rep max but something more like your five-rep max will be used. You will end up lifting your five-rep max eight times. Isn’t set manipulation great? You can now lift your five-rep max eight times in one set. This will lead to an increase in strength, allowing you to do more work within each set. You can also use this for increasing muscular size and endurance by changing the reps and sets to fit your goals. This is very similar to cluster sets but with a little twist. This is how it works. You would have your sets and reps set up something like this: 3×5/2×8. At first glance this seems cut and dry, that is because it is. The magic in all of this is not seen just by looking at the sets and reps. You also have to look at the numbers. This setup allows you to do more work within your workout. Let’s say your five-rep max is 225 and your seven-rep max is 200. If you were to do 5×5 at 225 you will have lifted at total of 5,625 pounds. If you did 3×5 at 225 plus 2×8 at 200 that will be a total of 6,575 pounds lifted. That is 950 more pounds lifted. This results in more weight lifted but with using less weight due to the increased reps and decrease in weight in the last two sets. This is another great way to do more work but at the same time lifting less weight. Resulting in strength gains and muscle hypertrophy, while giving your joints a rest from the heavier weights. Give these two sets and rep schemes a try. Not every workout has to be 3×10 or 5×5. Get a little crazy with your planning. Throw in a cluster set for your squat and bench or try using the high-density sets for your lunges and chin ups. If strength is what you’re after then try them out.